The fun set of cookies that I made this year after my husband was very vocal about wanting treats for the day! Are you celebrating May the Fourth be With You? We love Star Wars and can't wait for the next movie to come out. 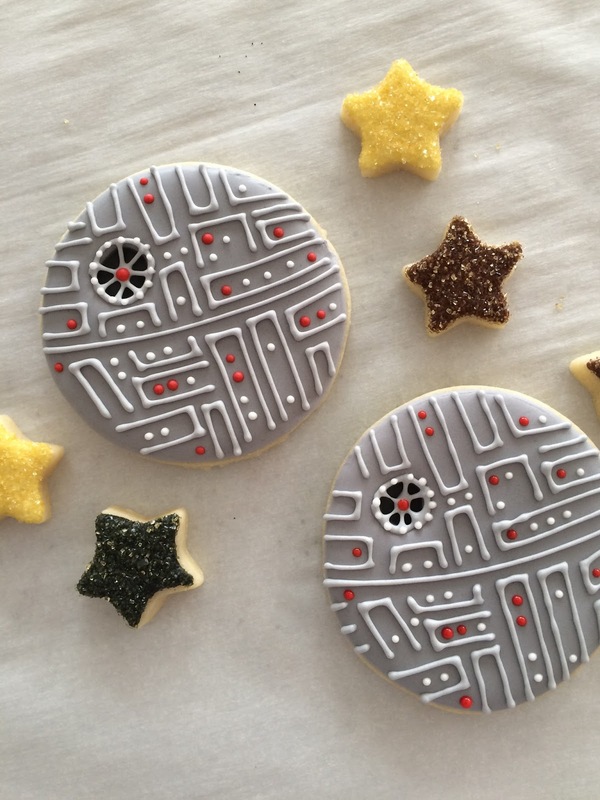 My Star Wars cookies are always a hit and so popular in my Etsy store. The Death Star cookies are a favorite of mine. Have you seen my blog post on how to make them? Aren't these Princess Leia cakepops fun? The fun addition of the pink bubblegum (fondant) seems to give her such a careless attitude, it cracks me up. And here's a snap of my whole Star Wars set. Are you doing anything fun? What's your favorite Star Wars related treat? Hope the force is strong with you today and popping in your favorite episode!